Beijing, CHINA, 7,8 Novermber 2016--Twenty national scientific and research organizations from countries and regions along the Belt and Road Initiative participated the “ First International Science Forum of National Scientific Organizations on the Belt and Road Initiative” and issued a declaration establishing an alliance of international scientists to promote cross-border cooperation. During the forum, Prof. SUN Hang and Dr. Tojibave KOMIL, director of the Institute of Gene Pool of Plants and Animals (IGPPA) of Uzbekistan Academy of Sciences jointly signed the renewed Memorandum of Understanding (MoU) between KIB and IGPPA. The MoU agrees both parties will work together to explore the strategic relationships in research and development in the area of: field investigations in Uzbekistan, construction of the biological resources and geographical distribution database in the Central Asia, building the international molecular biology joint laboratory between two countries, building economic botanical gardens, regular bilateral seminars, short-term visits by researchers. The first MoU between KIB and IGPPA was signed in 2013. After signing the agreement number of fruitful academic cooperation take place. 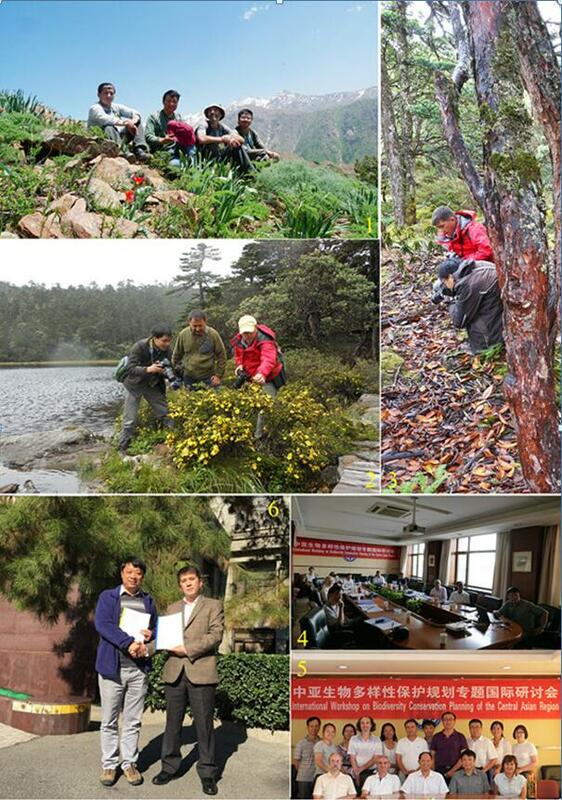 Such as biodiversity field trips at Hengduan Mountains in the southwest China in May 2014, identification of the fungi specimens in Uzbekistan led by Prof. YANG Zhuliang from KIB in October 2015, presentation on “Distribution Pattern and State of Coenotic Population of Rare and Endangered Plants Species of Kyzylkum Desert” by Dr. Khabibullo SHOMURODOV in July 2016, the "International Workshop on Biodiversity Conservation Planning of the Central Asia Region" organized by KIB and Xinjiang Institute of Ecology and Geography in August 2016. China and Uzbekistan are important friendly neighbors along the route of "The Belt and Road", KIB and IGPPA KIB and IGPPA desire to undertake collaborative research activities for the mutual benefit of both parties. The collaboration between both parties has been supported by Key Program for International S&T Cooperation Projects of China and CAS International Cooperation Research program.